At just under two grand, NVIDIA's new Quadro CX graphics card certainly isn't for everybody, but its ability to add some GPU acceleration to the apps in Adobe's Creative Suite 4 has no doubt piqued the interest of quite a few professionals out there and, according to PC Perspective, they likely won't be disappointed. On the card's big selling points, PC Perspective found that it mostly delivered as NVIDIA promised, with the stand-out result being a 2x speed increase in H.264 encoding times in Premiere CS4, something NVIDIA and Elemental eventually hope to increase to 10x with a few more updates to the RapidHD software. The card also expectedly provided a significant boost to Photoshop CS4 but, unlike with the RapidHD plug-in for Premiere, many of those performance gains can also be achieved with other OpenGL-supporting GPUs (though obviously not quite to the same degree). Hit up the link below for the complete rundown, plus a few videos that show just what the card (and a suitable system) are capable of. 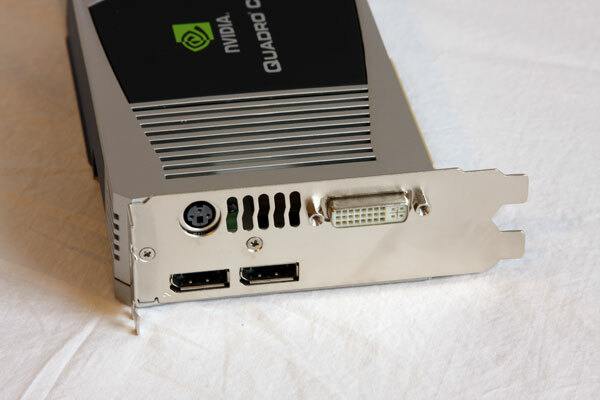 Adobe-friendly NVIDIA Quadro CX gets reviewed originally appeared on Engadget on Thu, 11 Dec 2008 16:59:00 EST. Please see our terms for use of feeds. December 13, 2008 by Ben Pike.